The following chapters describe briefly the process used to restore and transform an old wooden floor. Generally any wooden floor, parquet floor or stair with sufficient thickness of wood can be restored. Before I arrive the floor area of the room will need to be clear of all possessions. If applicable all carpet, underlay and grippers must also be removed from the room. As I would need to charge for doing this, this is normally carried out in advance by the customer. If required I am happy to help move a heavy or awkward to lift item or two without charge. Prior to sanding any repairs detailed in the quotation will be carried out along with fixing any loose boards. Where required any nails will be punched down to a sufficient depth and any staples pulled out. The floor will then be thoroughly vacuumed. 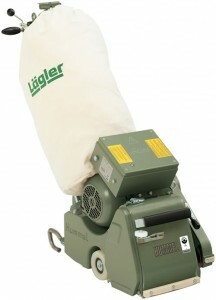 The sanding machinery I use is modern professional machinery manufactured in Germany by a company called Laegler. 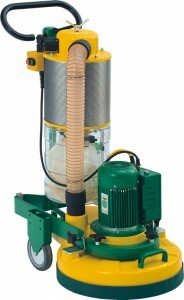 All the machines are designed for everyday use with extremely good dust extraction fitted as standard. The machines are all well maintained and kept clean for optimal sanding performance. The initially sanding will normally be carried out using the Hummell with a coarse paper. The paper used depends on the type and condition of floor. 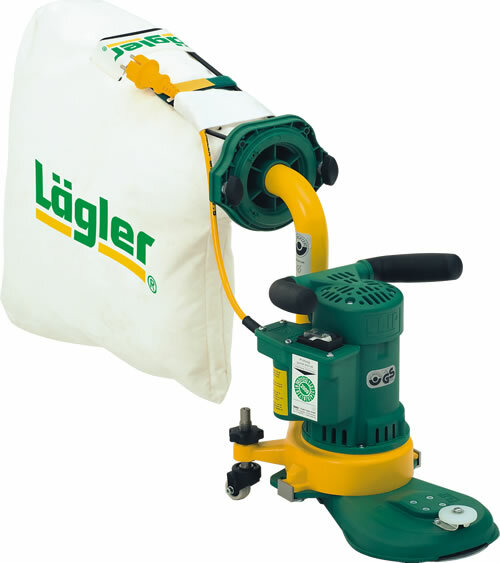 This is used to level the floor and remove larger obvious imperfections in the floor. With its inbuilt dust extraction this removes almost 100% of the dust. The Trio is then used with progressively finer paper to remove the marks produced by the Hummell until a satisfactory floor finish is achieved. The Trio also has an inbuilt dust extraction system installed which again removes almost 100% of the dust. The Flip is used in conjunction with the Hummell and the Trio to sand around the perimeter of the floor along with any hard to get to areas. The Flip also has its own inbuilt dust extraction which again removes almost 100% of the dust produced. I also use a small hand held sander to get into the nooks and crannies. This is connected directly to a dust extraction device, which as a result again produces very little dust. It would be inaccurate to say the machinery we use is 100% dust free, virtually dust free would be more accurate. Customers are generally surprised by how little dust there is when the floor is finished. If the floor is being stained this will be carried out before the floor is sealed. There is now a variety of stains and colours on the market to suit individual customer taste. We most commonly use heavy duty professional water based (polyurathene) lacquer for floor coating however Oil and Hard Wax Oils can also be applied. The water based lacquer is available in Gloss, Silkmatt, Matt and Extra Matt depending on customer requirements. Drying times for all floor coatings depends on the temperature and humidity in the particular area at that time.